9. Why are you applying for YRN? It's a good and active clan. I would like to meet new friends and to be in a PB2 family. 10. How can you benefit YRN? Helping in anything I can. Making recruitments and playing with oher YrN and non YrN people. 10b. How will YRN benefit you? I don't know, well see. 11. List some good/bad experiences in your most recent clan: Bad - I was talking in a chat to someone and we was having fun. Other also joined and started to attack me and the guy and they kicked me. USF members attacked you for everything you say. So the best way is to don't talk, so I left. 11b. List some experiences you wish to have in YRN: Beign better, stornger. To make decisions if it is bad or good, but you made one! 13. 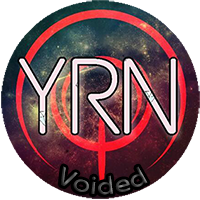 In your opinion what makes YRN different and/or better from other clans? I don't know, well see. First I have to join to know. 15b. How active will you be on Discord, YRN forums, and PB2? Very active. I almost spend my life on Discord. Not sure about PB2 and forums for now. 16. What are your skills within PB2? Walljump, seelfboost, good aim, speed, empty handed skills and 8 years of pb2 experience. 17. Describe what kind of person you are: I am nothing than a special person or anything, I am just other normal persons. Can't say more. 18. What do you value more and why: Skill or Attitude? If you start things with attitude you will have skills in it. 23. Extra comments: Thanks for reading my application. hey ECC9 your app is kinda short and i got the feeling that you didn't check it that well, there are some spelling mistakes. Can you answer on questions 10.b and 13 because you said 'idk, we'll see", i know you dont have an idea of how it is in YrN but try to answer and elaborate those questions. What are your expectations about YRN if you join? 10b. How will YRN benefit you? Making me better. 13. In your opinion what makes YRN different and/or better from other clans? Better members and not abusive ranked people. What are my expectations about YRN if I join? A good clan with friendly members. Battle Royale or other games every month. Year picture. GOD AIM LMFAOOOOOOOOOOO i like the confidence! but work on bein a lil humble and how is it u only know 1 person from yrn n u wanna join the family jus a thought. @Ace wrote: GOD AIM LMFAOOOOOOOOOOO i like the confidence! but work on bein a lil humble and how is it u only know 1 person from yrn n u wanna join the family jus a thought. Sorry but I only remember cheesecheetos from yrn. Hello everyone. Please delete my application. Thanks! Application Voided by the request of the applicant.